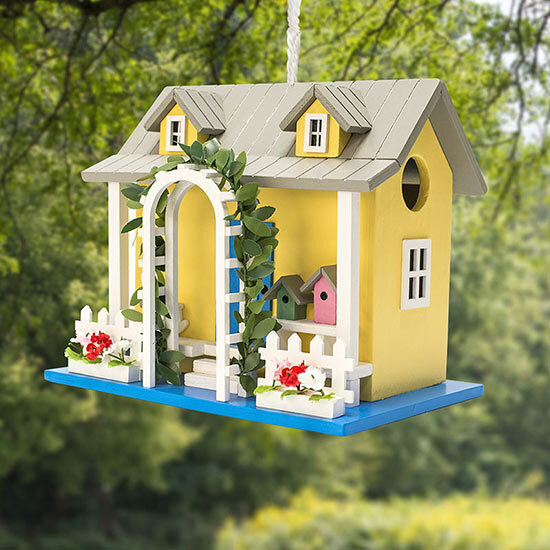 Birds will return day after day to this sunny sanctuary! 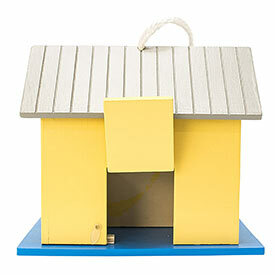 Our cheery, yellow Home Tweet Home Birdhouse is sure to make any of your feathered friends feel welcome. Painted wood details are accented by faux flowers and a trellis vine. The front porch features a chair and table and even a tiny birdhouse of its own! 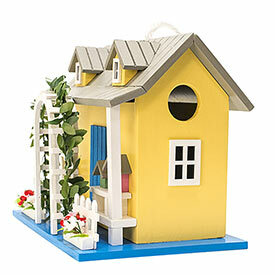 Sturdy Cape Cod-style cottage has a braided nylon rope attached to the roof for easy hanging from a hook or tree. Convenient trap door for cleaning. 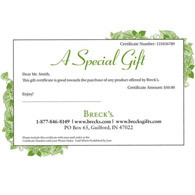 Great gift for Mother's Day, birthdays, anniversaries and your bird-watching friends. Entrance hole diameter is 1¼". (7½"h, 8½"w, 6¼"d).